Elana received her B.S. in Nutrition and Health from Queens College. In 1996 she obtained her R.D. and then went on to earn her masters in Human Nutrition from Columbia University. After working for seven years as a Dietitian in New York City Elana relocated to Los Angeles. Elana has dedicated several years to understanding the complexity of nutritional health and planning for weight loss surgery patients. 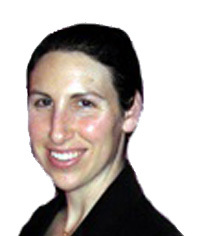 Elana is an integral part of our multidisciplinary approach to weight loss surgery. She has continued her education and has honed her skills as a specialist in Bariatric Nutrition. She advises patients both in preparation of surgery as well as counseling and support after surgery. Elana is also a dedicated Yoga instructor.